From Goodreads.com: With her husband’s dying words, “My marchioness has it,” the Marchioness of Huntingdon is thrown into a nightmare of intrigue and danger. 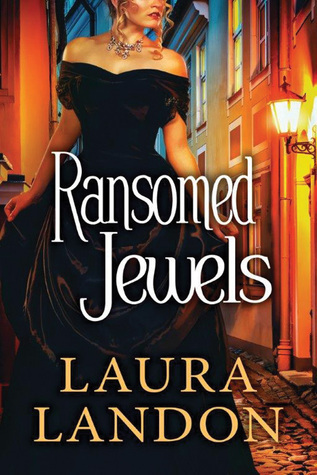 But even those who are holding her brother ransom can’t force her to do the impossible—hand over a necklace she doesn’t have. I really wanted to like this book. The synopsis seemed to have everything I was looking for - romance, mystery, intrigue. But unfortunately it never really seems to reach the level I was hoping for. To begin with, I really couldn't like either of the main characters. Samuel is quick to accuse Claire of all manner of things (from being a traitor, to an adulterer, and later - a manipulator) - and he never takes the time to consider another option or hear her out. He just opens up and lets the accusations fly which of course put Claire's back up until they end up in a fight. Then Claire - I understand she has had to put a facade on for years with other people, but it irritated me to no end the way she simply wouldn't put her foot down and demand that Samuel listen to her. It seems the only time she shows any sort of backbone is when it comes to her brother. The mystery part of this story is ok. It has its moments when things take a turn you wouldn't expect. However I found the main twist to be so improbable and yes downright impossible that it almost ruined the entire story for me. Unfortunately I can't go into a lot of detail because it IS a major spoiler, but suffice to say something happened that I cannot fathom actually happening, but even if the author kept that part in the book, she could have taken it in an entirely different direction that would have made a bit more sense. In fact, the majority of this novel would have been completely different if people had just been honest with each other from the beginning. Overall, I am sure that this story will appeal to a variety of people, and the things that I did not enjoy about it will be someone else's cup of tea. I would give this author a second chance, however if there had been more to this series, I would not have continued on. DISCLAIMER #1: This novel does include scenes of a sexual nature that occur before marriage. I mention this only because I know it is a complete turn off for some readers, and feel that they should be informed.